The process for getting the worlds most popular Analytics kit (Google Analytics) to play nicely with the World’s most popular WordPress email plugin (Contact Form 7)has changed. 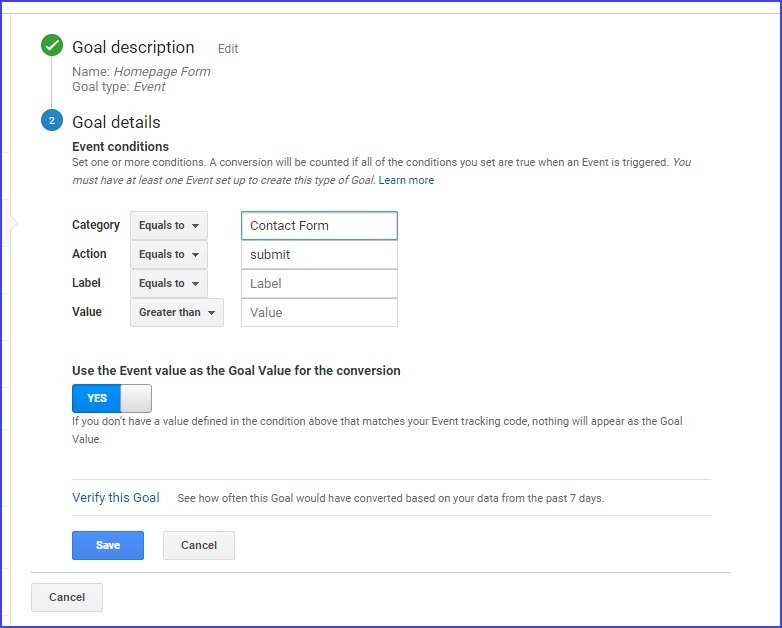 Here’s what you need to do (assuming you are not yet using Google’s tag Manager) to get Analytics to record a hit when your form’s submit button is pressed. Click the red ‘Add Goal’ button. Fill out the form for a test and check that analytics has picked it up. You can then import this into adwords too and record ROI.